Paradise vector graphics. 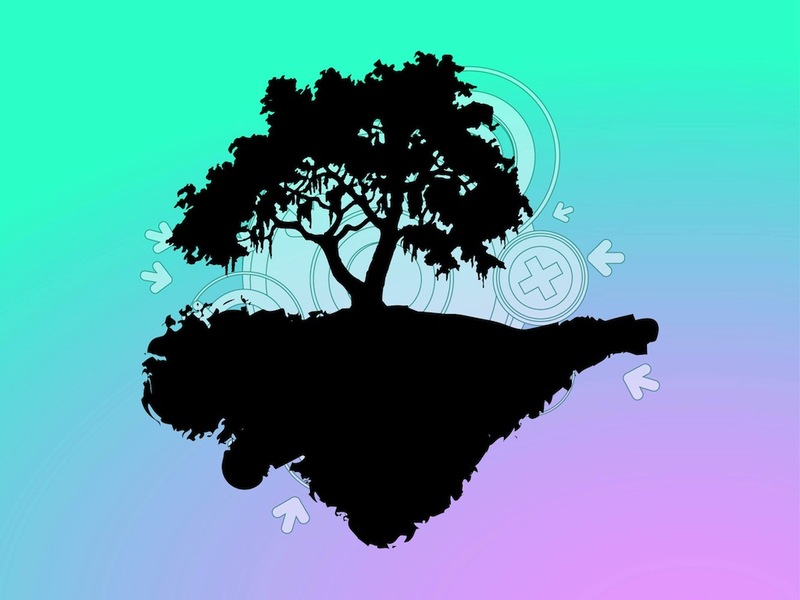 Floating nature vector design with a tree on a flying island. Geometric decorations behind the nature image. Solid color silhouette of the floating piece of land and the tree growing on it. Free paradise vector graphics to design Eden, Utopia, plants, ecology, trees and preservation of nature layouts. Tags: Abstract, Circles, Ecology, Eden, Island, Land, Nature, Paradise, Plant, Print.